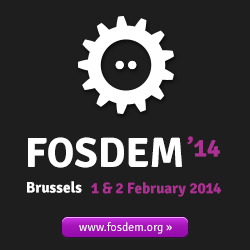 This year I was almost skipping FOSDEM. It is a delicate time for me to be out as I will be a dad soon but the doctors say it is supposedly okay if it’s for a couple of days so I am going to FOSDEM for my 7th year in a row! Due to that uncertainty, I haven’t proposed any presentation but if you want to talk about the projects I’m involved in or about work and life at CERN, let’s do it over a couple of excelent Belgian beers (or waffles if you prefer). Next Next post: Hello World, from Olivia!